Do you have grass in your yard? If so, what kind do you like? 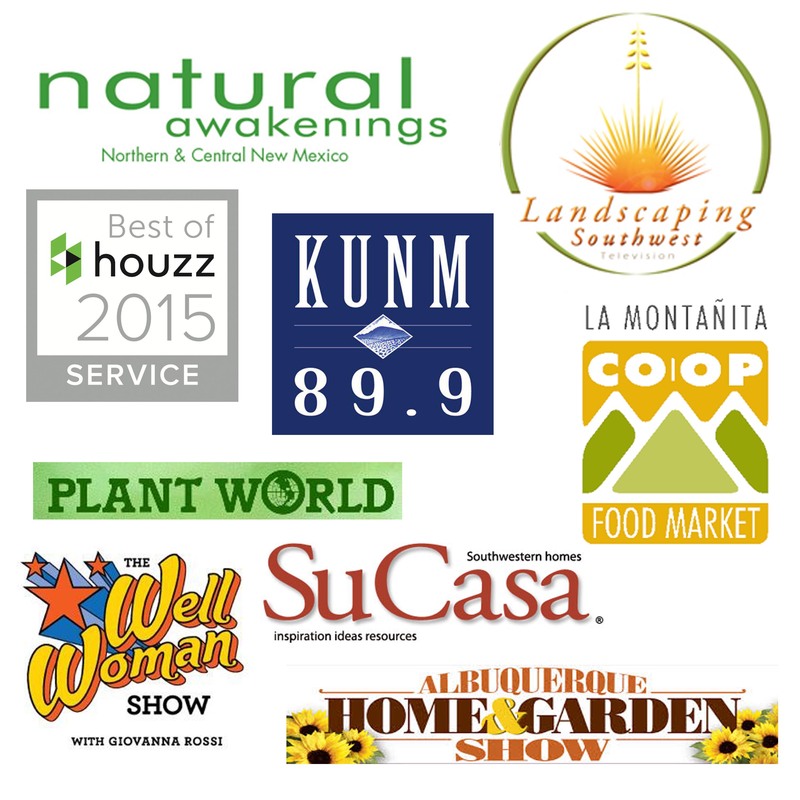 I’ve been part of the xeriscape movement here in Albuquerque for a long time. 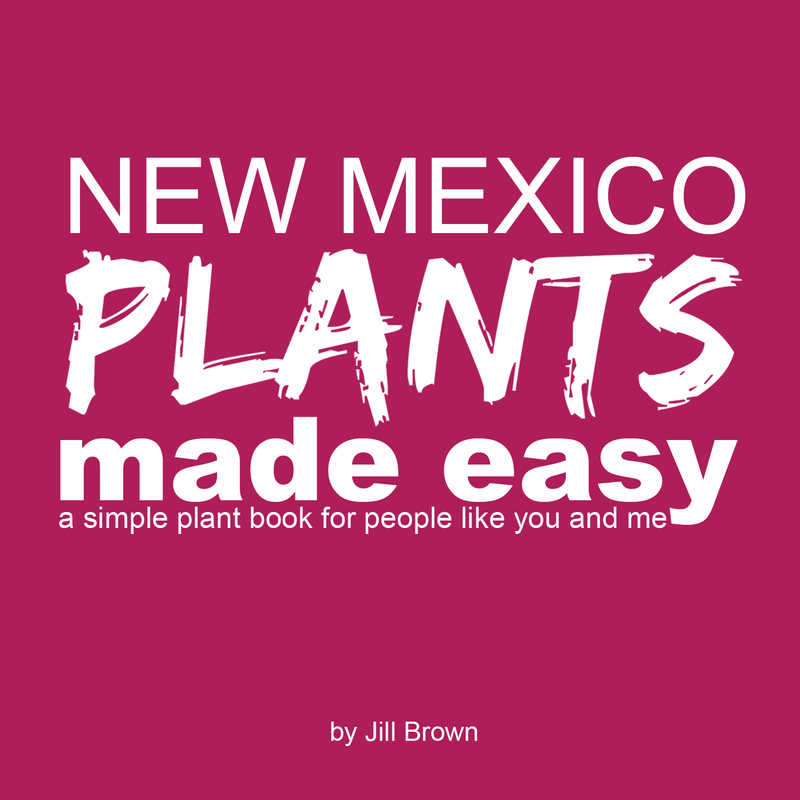 In fact one of the reasons I moved to NM from LA was to pursue sustainable design with native plants and everything else that comes along with that. Suffice it to say I lead a very sustainable life and when I moved into my home over 13 years ago the first thing I did was let the grass die. My grass used about 40” of water a year and I couldn’t imagine how on earth I could use potable water to keep it alive in a city that only received 10” a year at that. 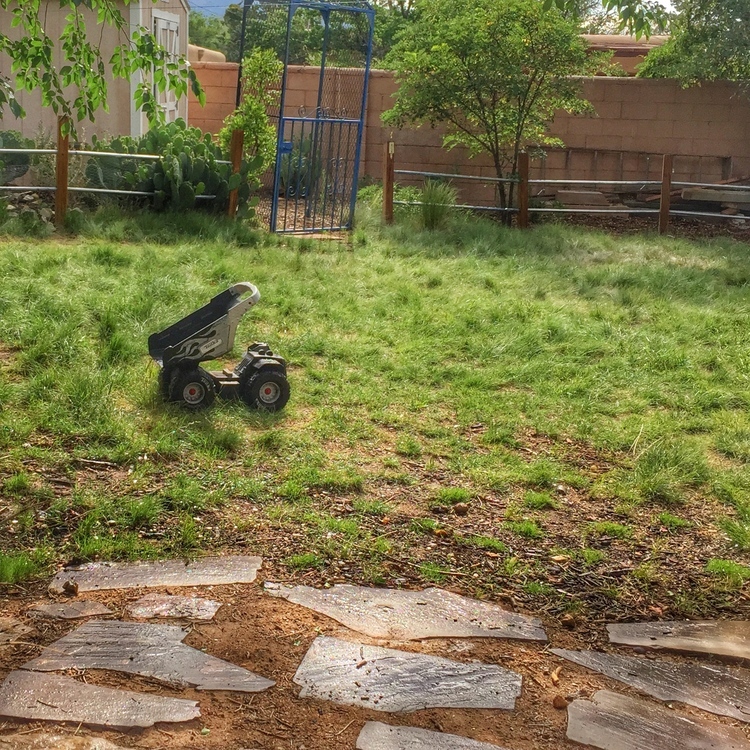 Growing up in New Orleans, keeping grass alive was not an issue but keeping that same grass alive in NM was a nightmare. So yes, it died with neglect and the help of two energetic husky puppies. I felt good, check that off the list, I’m saving water. But wait? Now I had dirt, weeds, and my fluffy dogs were covered in dust. One benefit was I always knew where my dogs hung out when I was at work by the dirt piles they left in my house. Um, but that was the only benefit. I literally never went out into my back yard. Yes, I a landscape architect living in a place where I could sit outside for hours and not worry about being eaten alive by mosquitoes did not go in my yard. 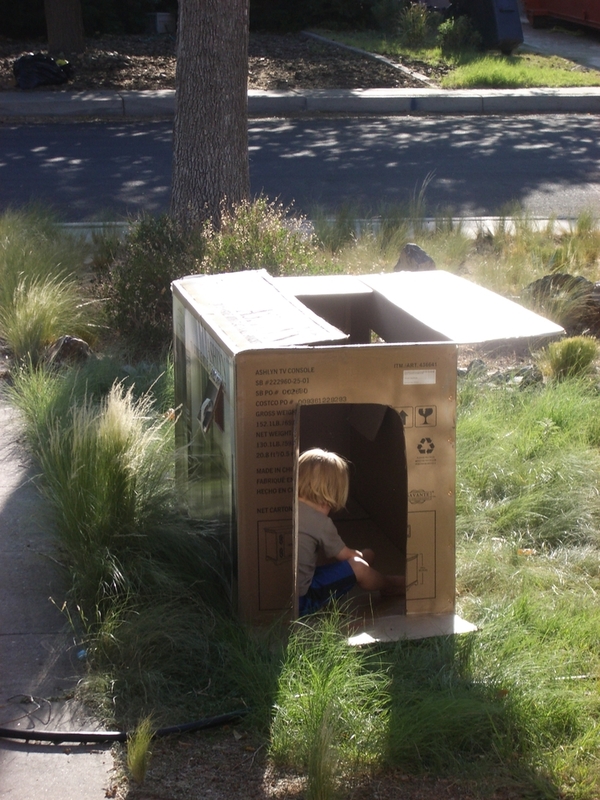 This is what my yard looked like 10 years ago. I’m slightly embarrassed for showing you this. Something had to be done, with a limited budget I set out to plant my first native grass lawn. 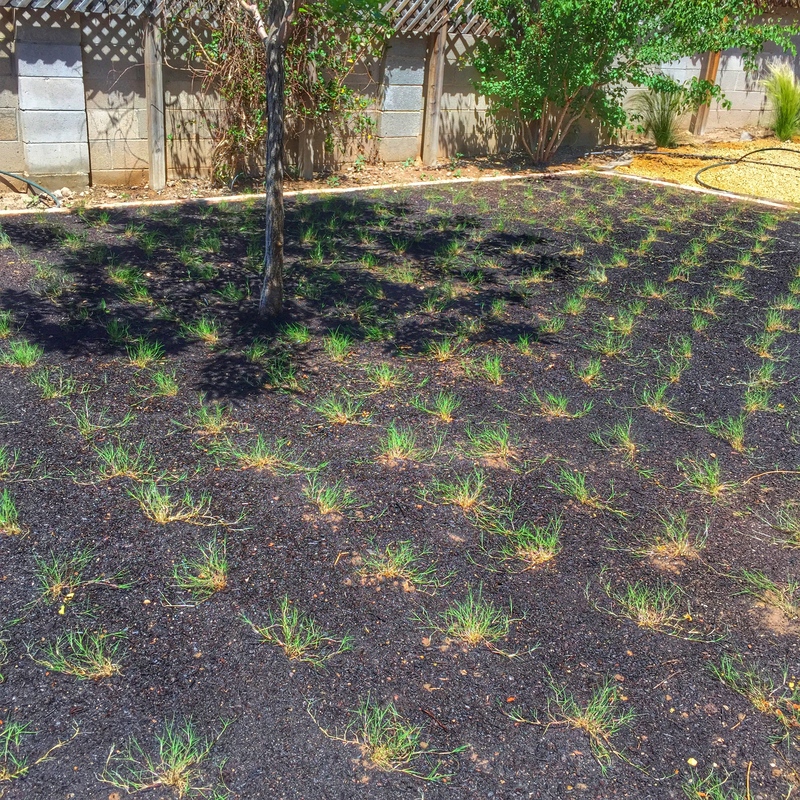 I seeded native blue grama grass in my front yard and a mix of buffalo and blue grama grass in my backyard. All my seeds came from Plants of the Southwest. It was a laborious process and took some time to mature. It’s now practically maintenance free. Yep, there’s no mowing required. I’ll get into the details of that process in another blog post but flash forward 10 years and today we have so many native grass options available! A Clients home freshly planted with the grass plugs. I wanted to share with you today a native grass hybrid that I tested last year when it first came out. It’s called Cynodon hybrida Dog Tuff ™ Grass Plugs from High Country Gardens. It is a hybrid buffalo grass perfect for high traffic and play areas. It has excellent durability in yards with dogs. Once established it is highly weed resistant, deep rooted and provides a soft, cushioned feel for bare feet. Do I sound like a commercial yet? I am truly loving this grass and most recently planted it at four of my clients homes along with my own home in Albuquerque. A clients home freshly planted. Why would I need grass plugs in my native grass yard. Well, I now have three boys, and two large dogs. They all wreak havoc on a native grass yard. You can see from the photos I am using this grass to plug my high traffic areas of the yard. The other areas of the original seeded native grass buffalo and blue grama grasses are still intact almost 10 years later. HIGH TRAFFIC AREA OF MY YARD FRESHLY PLANTED WITH THE DOG TUFF PLUGS. Here is a little review I gave this grass over on the High Country Gardens website. The water use on this grass is minimal, in fact last year when I plugged it I literally forgot to water it. As as noted above, it is all thriving 7 months later. 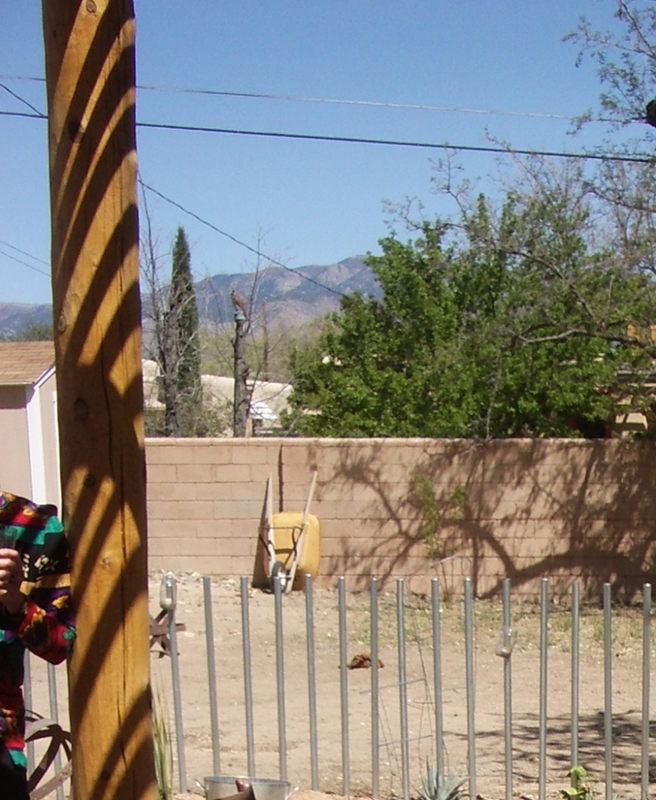 It is recommended to water it at least 10” a year which is very doable in Albuquerque. If you’d like it greener you can water it more like 20” or so. It doesn’t require any fancy fertilizers once established or weekly mowing. In fact, I typically only mow mine once a year. You can mow it a few times if you like, it’s a personal preference. 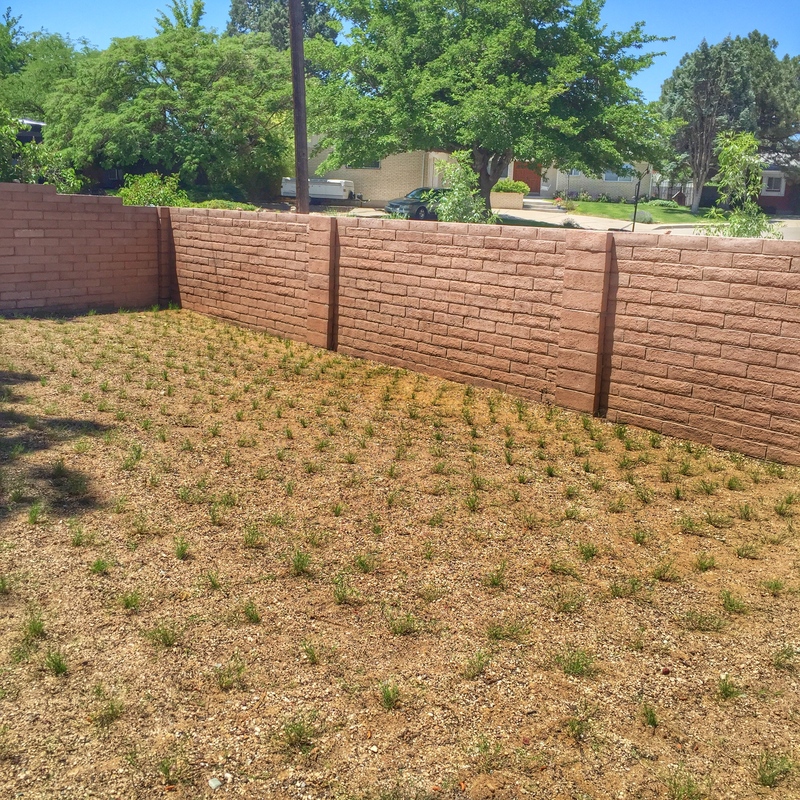 Take a look at some of the new grass lawns we’ve been doing here in Albuquerque. There are many other varieties out there but so far I have been very pleased with this one. I’d love to hear your grass stories. Have you found something you absolutely love, or do you prefer no grass at all. I’d love to hear about it in the comments below. And for those of you who’d actually like to purchase this grass I do have about 300sf of the grass available for sale. We bought a whole bunch for our clients and have a little left over to share with everyone. Just email me if you are interested. Enjoy your weekend and all your gardening adventures this weekend!